Author: Alexander, Caroline Set In . . . Description: In August 1914, days before the outbreak of the First World War, the renowned explorer Ernest Shackleton and a crew of twenty-seven set sail for the South Atlantic in pursuit of the last unclaimed prize in the history of exploration: the first crossing on foot of the Antarctic continent. 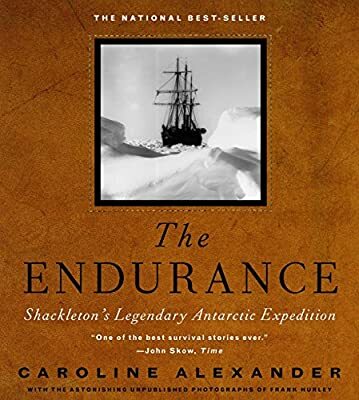 Weaving a treacherous path through the freezing Weddell Sea, they had come within eighty-five miles of their destination when their ship, Endurance, was trapped fast in the ice pack. Soon the ship was crushed like matchwood, leaving the crew stranded on the floes. Their ordeal would last for twenty months, and they would make two near-fatal attempts to escape by open boat before their final rescue.